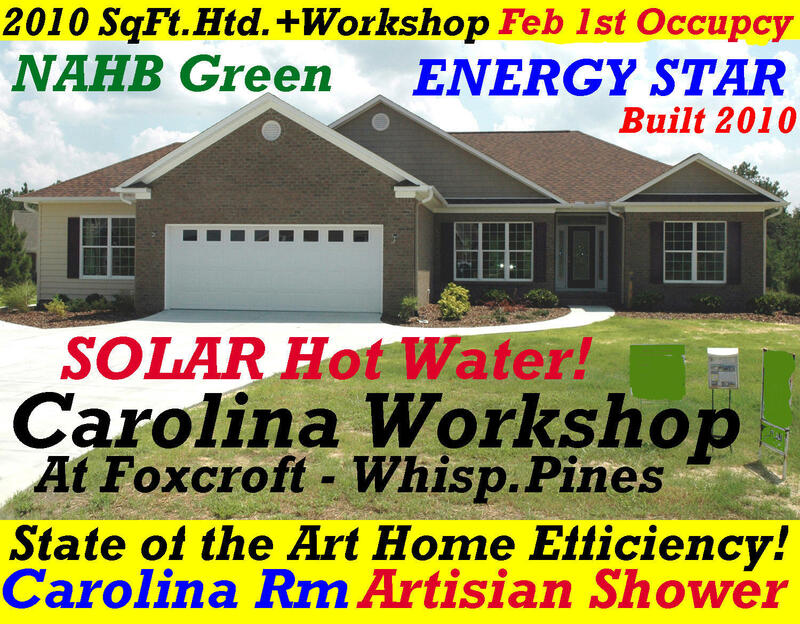 ''CAROLINA WORKSHOP'' at Foxcroft Subdivision. This is a 5 Star Energy Certified & NAHB Green Home. Solar Hot Water system, Sealed Crawl Space, High Energy Efficient HVAC, and other energy conservation features in this home will result in lower Energy Bills! A Split Br plan with rear Carolina Rm. Hardwood floors throughout living areas. Designer kitchen is fully applianced. Master suite has Artesian Shower! A 15x20' Workshop is located off the oversized double car garage - with separate HVAC system. Can be great exercise gym or hobby area. Washer/dryer laundry space off Master Bedroom hall. Rear deck. Private Backyard. Great Neighborhood. NON SMOKERS & NO PETS, please. Long term lease is possible, Minimum of 1 Yr lease. IMMEDIATE AVAILABILITY! Call today for further info.